Brookline is a town in Massachusetts that borders six Boston neighborhoods. It has a total area of 6.8 square miles, most of which is land. Its overall density is higher than the density of many other large United States cities. Brookline was part of Algonquin territory until it was settled by European colonists in the early 17th century. The area was incorporated as an independent town in 1705. If you have been involved in a job-related accident in the Brookline area, the experienced workers' compensation lawyers at Pulgini & Norton can help you seek benefits. 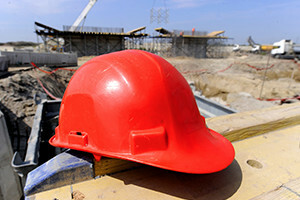 The workers' compensation system in Massachusetts was put in place to ensure that employees are protected by insurance if they are hurt at work or contract a job-related illness. As part of this system, employees give up the right to sue their employers for negligence in a personal injury suit. Likewise, an employee’s own fault for an accident is not considered. This means, for example, if you improperly loaded a truck and then fell off the truck and were buried in cargo, your fault in improperly loading the truck would not affect the benefits to which you might be entitled. You can receive benefits after the first five calendar days of full or partial disability. If you have a very minor work injury that does not require medical care or time off work, you would not qualify for compensation. However, if you have a job-related injury or illness that causes you to miss work for those five days, your employer will need to file a report with the Department of Industrial Accidents (DIA) and the workers' compensation insurance company within seven days. The DIA administers workers' compensation law in Massachusetts and makes sure that disputed claims are resolved. The insurance company gets 14 calendar days after receiving the employer's form to investigate the claim and decide whether or not to pay benefits. When your claim is disputed, you should consult an experienced attorney because the law surrounding these claims is complex. The dispute resolution process has multiple steps. The first two steps, the conciliation and the conference, are informal. If, after this point, you and the insurer cannot reach agreement, you will move into a formal proceeding known as the "hearing." The hearing is usually held in front of the same judge who presided over the conference, but it is a formal proceeding in which evidentiary rules apply and witness testimony is taken. If you are unhappy with the judge's decision at the hearing stage and believe an error of law was made, you can appeal to the reviewing board within 30 days of the hearing date. The fee to appeal is 30% of the state average weekly wage then in effect, but waivers are available. If you have been hurt in a workplace accident near Brookline, you can contact the work injury attorneys at Pulgini & Norton to discuss the details of your situation. We represent employees seeking workers’ compensation benefits throughout the Boston region, including in Andover, Hyde Park, and New Bedford. Contact us at 781-843-2200 or via our online form.